So, what to do? 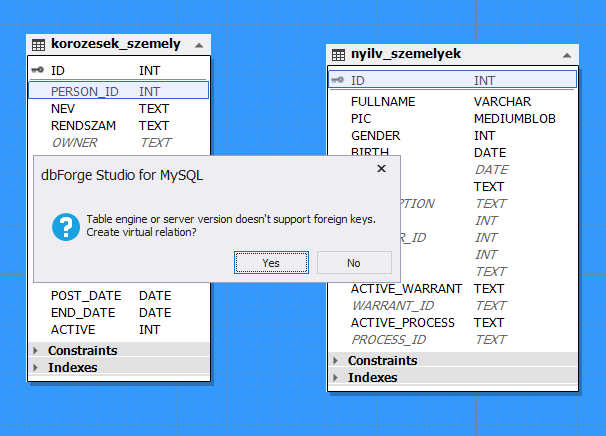 Your servers/setup do not provide to make foreign keys? You probably need to change engines to InnoDB. We default to Myisam because it tolerates load and crashes very well. InnoDB basically goes corrupt if you so much as look at it wrong.